Facebook’s decision to update their News Feed algorithm and prioritize posts from friends and family over publishers was the source of major anxiety for many publishers who relied on social media for traffic. Here’s how you can navigate through the labyrinth of the Facebook News Feed algorithm. There are other challenges for publishers and platforms alike. When it comes to favored social formats, video has proven expensive and difficult to scale. Editorially, it’s become difficult to develop loyal audiences in the face of falling trust, increased partisanship, and the proliferation of malicious publishing sources. The Facebook News Feed algorithm is making things difficult. 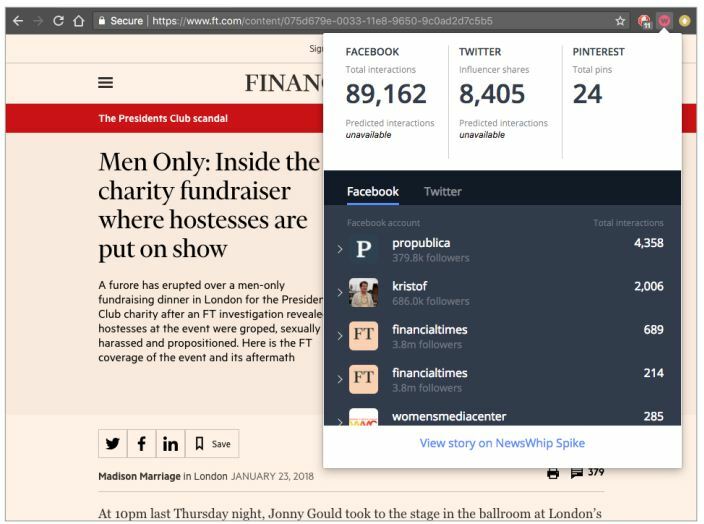 Even after the algorithm shift, the Financial Times’ expose of sexual harassment at a charity fundraiser in London became the site’s most read story of all time, after it was made free-to-read and shared heavily on social media. How to navigate these changes, whether you’re a publisher or brand. The shift in focus to personal updates forced digital creators to focus on building meaningful relationships with their audiences. Content must be relevant, timely, and spark conversation. According to Zuckerberg, the visibility of news in the News Feed has only dropped from 5 percent to 4 percent. Either way, just relying on your Facebook Page for visibility hasn’t worked for quite a while now. 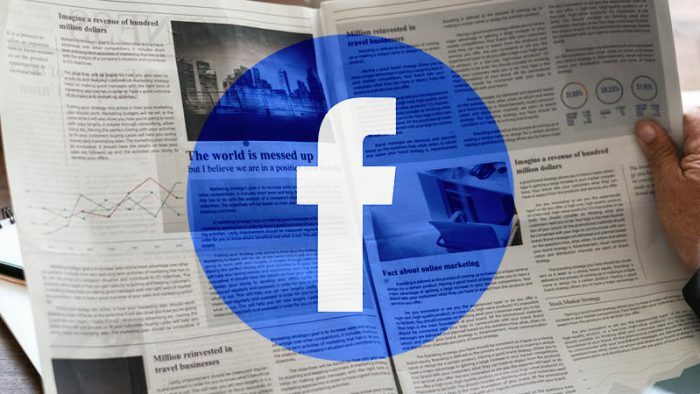 Facebook Journalism Project lead, Campbell Brown, the Facebook News Feed algorithm change will not affect links to publisher content shared by friends. Most publishers only get about 50 percent of the engagement of their site content through their Page engagement. The rest comes from “personal sharing”, the stories you or a friend found on the web and shared yourselves. In our own analysis, we’ve found that publishers only put about 20 percent of their web content on their Pages, the other 80 percent comes down to their readers. The top stories since the algorithm change have had a good deal of breaking news at the top of the chart. 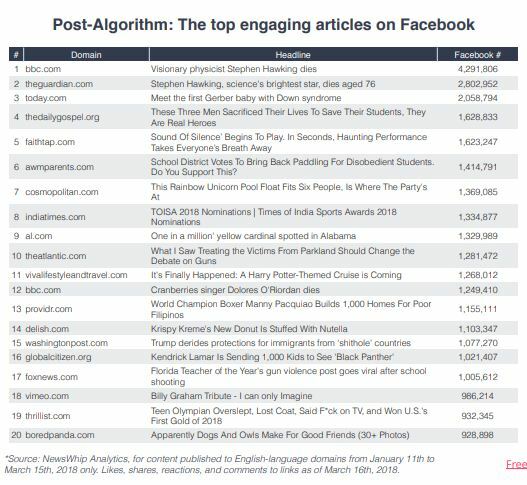 In fact, since the Facebook algorithm change, 56 of the top 100 most engaging articles as of March 15th have been hard news/current event stories. Since the Facebook algorithm change, 53 of the top 100 stories were from general news publishers. One might have hypothesized that without Facebook’s News Feed emphasis, hard news would be buried, but the data shows that this hasn’t been the case. 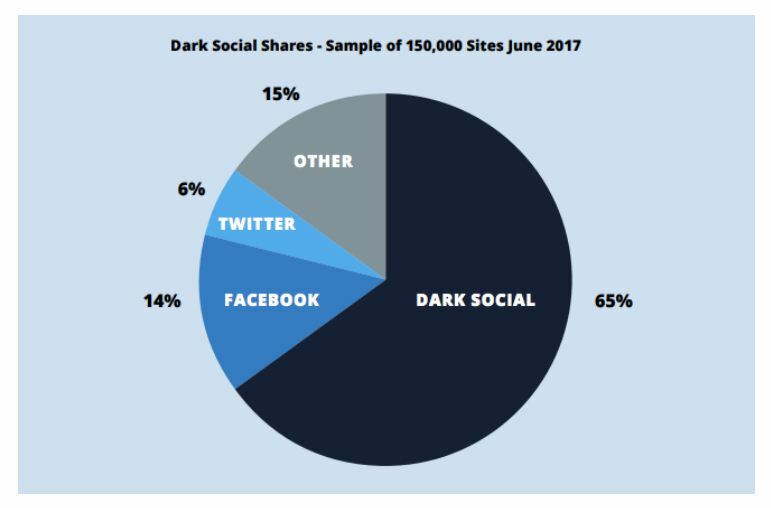 Data suggests that going forward, the dominance of major sites with network abilities and scale in breaking news events looks likely to continue to be consolidated on social media. Looking at the top 100 stories, there are a few notable trends. Stephen Hawking, Dolores O’Riordan, and Billy Graham’s deaths all featured in the top stories. This is particularly notable, because despite us looking at 2.5 month period, the story about Stephen Hawking has been the most viral of this year, despite occurring at the tail-end of this analysis. You can read the entire report by NewsWhip here.